To understand the best and suitable diploma courses after class 10 pass, you have to know that there are several valuable courses after 10th. Wide ranges of courses are available after 10th. So you have to choice suitable Diploma courses which you prefer most. Read the below article to understand the different aspect of diploma courses availability after class 10th pass. 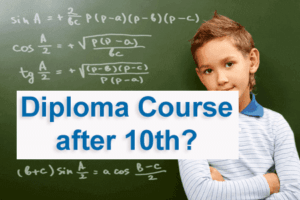 Now this is time to choose your favorite Diploma Courses after you pass out 10th. You have to know about college information, admission procedure fees structure of your desirable courses. At last let go out to pursue the Best Diploma Courses after 10th.